U.S. pro-democracy groups, the International Republican Institute (IRI) and the National Democratic Institute (NDI), say Zimbabwe has not yet established a democratic culture in which parties are treated equitably and citizens can cast their vote freely. In a joint statement, the International Republican Institute (IRI) and the National Democratic Institute (NDI) observer group to Zimbabwe's July 2018 elections said the country had shown "substantive, incremental improvements" from its previous "flawed elections" that were characterized by violence. A co-director of the two U.S. pro-democracy groups' election observer mission, Jessica Keegan, said her groups noticed a public commitment to credible elections through a more open political climate, welcoming of international observers, and a fresh biometric voters roll. "But unfortunately they were insufficient to instill broad confidence among the populace that the election met international standards, particularly given Zimbabwe's history of irregular elections and electoral violence," said Keegan. "Extraordinary measures needed to be taken to overcome that past. Unfortunately these elections did not quite meet the mark. There were other issues that raised serious concerns; such as reports of intimidation, violence and the misuse of state resources and the tragic event of August 1st where civilians died because of use of excessive force." The observer groups offered 20 recommendations to Zimbabwe President Emmerson Mnangagwa's government to ensure the country's future elections are credible. 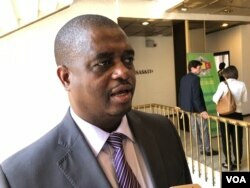 Zimbabwe Electoral Commission spokesman Qhubani Moyo was asked for comment on the election observer mission report. "I do not know I have not read it," said Moyo. "I am not even going to read it. I am not even focusing on these things. I am doing my family and reading. I am not reading it, not soon. Maybe you can try chairperson." 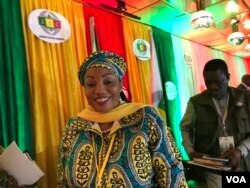 Zimbabwe Electoral Commission Chairperson Priscilla Chigumba could not be reached for comment about the report. The two groups' observer team was led by former Liberian President Ellen Johnson-Sirleaf and former Interim President of the Central African Republic Catherine Samba-Panza.